This lighthearted comedy follows Alice Kinney, a single mother who just moved back to Los Angeles, and her unexpected encounter with three young filmmakers. Alice has just separated from her high-class music industry husband and is trying to make the most out of her new circumstances. She meets Harry, a young director who just completed a well-done short film, and subsequently finds herself enjoying the night away with three young men. She then lets them stay in her home and the film goes on from there. To be honest, this wasn’t a highly memorable film. It was written well to some extent as it had some great comedic lines delivered in perfect for the moment situations. However, I wasn’t thoroughly impressed by the story-line. The film seemed to me a bit flat and it almost seemed as if it was just an investment looking out for a return. 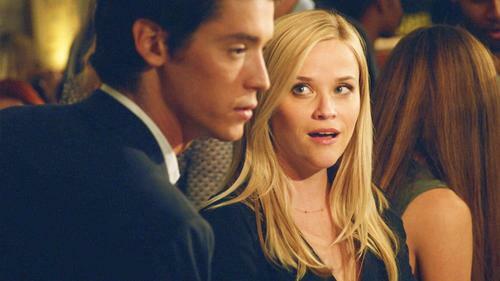 Reese Witherspoon adequately plays her role as the caring working mother who is possibly just looking for stability. She also clearly communicates her sense of being perplexed at the fact that she gets involved with somebody who looks like a very young adult. I think that this story definitely plays well to mothers of children still in their development because of the relation of the plot points. Alice has just separated from the father of her children who can’t seem to get his mind out of work and is in her mind still stuck in his 20s. Austen, her separated husband, is from the beginning of the movie delaying the visiting of his own kids because of his misplaced priorities. Harry and his boys are a wonderful break from Alice’s issues. They provide a friendship with her family that becomes stronger and more solidified as the film progresses. Like I said, the film wasn’t impactful enough in either its comedic delivery or dramatic qualities to render a highly favorable review. If anything, after walking out of the theater, I felt somewhat entertained but that was it. It was nice to see L.A. though with its palm trees and beautiful sun. The setting for the film came out strongly in the scenes where film industry business was conducted by producers and agents. It was interesting to note the disparity between the circumstances of Harry and his boys in comparison to established people in the industry. Overall, this was a film that somewhat entertained but should not cause another movie to be sacrificed as a choice.